Travelling around Thailand with the Road To Mandalay Endurance Rally, I stayed in ten different hotels in thirteen nights, or something like that. I kind of lost track after a while. I’ve mentioned some of the hotels in earlier articles, but, in case you are looking for recommendations or advice for your own travels, here’s a quick round up of places to stay – and not! My first stop was not too far from home, just across the mountains in a place called Trang. The Rua Rasada Hotel was very pleasant. Spacious rooms with an enormous balcony and a view back to the mountain range. Trang doesn’t seem to offer much, but it’s well positioned as a jumping-off point to lots of places on the Andaman Coast. My next hotel was the much-disliked (by me) Pullman Resort in Khao Lak which I mentioned earlier. It’s on the West Coast, on the Andaman Sea (of tsunami fame) in a beautiful location. And I guess if you were there in a large group or family, the enormity of the place might not bother you. And if you stayed long enough, you might find a way to the beach that takes less than fifteen minutes. Next, I went a long way north, although still south of Bangkok, to the Majestic Creek Country Club. Their “resort” was convenient for the rally preparations and mostly adequate, but I wouldn’t normally choose to stay there when the coast is so close. A few hours Northwest found me in Kanchanaburi, where I stayed in the rather special Dheva Mantra Resort. I mentioned it, along with a photo gallery, in this article. Because I was travelling with the rally, my expenses were paid, and the hotels pre-booked, so I never really knew how much each place cost. I had assumed the Dheva Mantra would be one of those hotels where you need to take out a second mortgage before opening the mini bar, but having checked on agoda.com, I can see some of their special rates are really quite appealing. There’s a lot I haven’t seen in the Kancanaburi area, so maybe next time I’ll treat myself to a little luxury. But, even the best places have faults. My balcony had been used by a previous guest who had left a beer bottle and cigarette butts. They were still there when I check out after two nights. Next was a rather forgettable place called the Kosit Hill Hotel in Petchabun. Well, forgettable in terms of the rooms and facilities, but memorable for the bizarre collections of just about any kind of worthless things you can think of, which filled umpteen cupboards and seemed to line every corridor, stairwell and even outside windows. Stuff like collections of hotel soaps from around the world, or broken old toys which probably cost no more than 5¢ when new. Quite bizarre. In addition, the rooms were rather basic. I don’t think the persons of much richness were too amused! 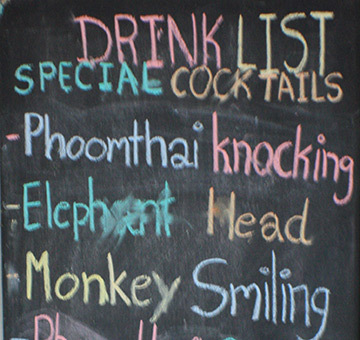 In my defense, I should explain that the Phoomthai was a kind of overflow hotel. It wasn’t where I’d expected to stay. That happened a few times, and was never a problem. It was a chance for some peace and quiet away from the rally. But the usual routine was – find replacement hotel – quick shower and change – head back to main hotel for communal free dinner and drinkies – go back to hotel #2 and crash out – rise early, often at 5am – rapid breakfast, or no breakfast – and be on the road, sometimes, before sunrise. So, I had very little chance to absorb hotel names. In fact with a different room each night, I found it hard to remember room numbers, and in the fancier hotels they don’t print it on the room access cards. Wandering around the various hotels I had a few “Where TF am I?” moments! Which means it’s a good job I took photographs, because now that I look back, I recall that the Phoomthai was rather nice. Phrae is a kind of gateway to the north, with flat plains and some hills to the south, and pretty-much all mountains to the north. I think I’d use the Phoomthai as stopover point if I ever get a chance to head to the far north again. 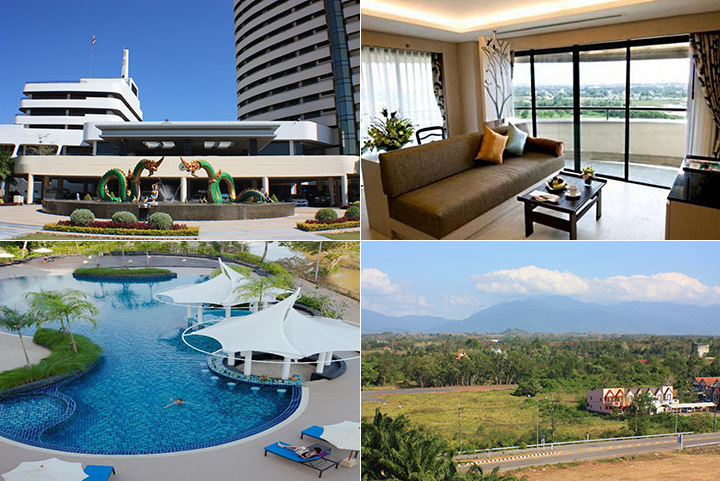 And so it was on to Chiang Mai, and the Shangri-La Hotel, where, I’m happy to say, I didn’t stay. It’s the kind of place where, if you use their public restroom, when you’ve finished, someone rushes over to wipe your … hands. What did you think? I stayed in the Empress Hotel down the road, and rather liked it. The first night I was supposed to go back to the Shang for a very formal dinner. I simply couldn’t be bothered, and headed down to the coffee shop for something more casual. Not only was the food surprisingly good, but just when I thought I’d finished, they brought complimentary chocolate cake and cognac. So, I went back the second night for the same treatment. Chiang Mai was one of those places with a rest day, and other than a slightly tiring day out, rest, I did. Which was just as well, because the mountain drives of the next few days were seriously hard work. First stop was supposed to be in Mae Hong Son, but I never reached there. That was the day I was helping with a road accident until about 6pm, and with a few hundred kilometers of dark, winding mountain roads, it was probably inevitable I would run out of time, and diesel! So, I spent the night in a basic but very new and clean hotel in Pai, with the somewhat elaborate name of The Diamond De Pai City Hotel. It served it’s purpose, but I wouldn’t stay again. Pai is full of quaint mountain resorts, none of which I was going to try to find at 9pm. Next time I’ll hunt for a different slice of Pai. Then it was time to play catch up, covering all the roads I’d missed the day before plus the full day’s section. I probably wouldn’t have bothered, given that I had nothing rally-related left to do, except that these were the roads I really wanted to experience, and I had with me, a rather expensive rally watch. 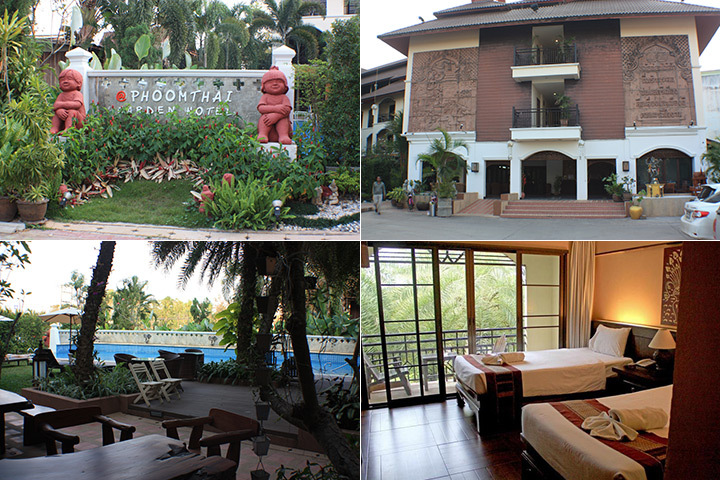 So, my final rally night was spent in the Centara Hotel in Mae Sot, which at least meant I had started heading south. The hotel rooms were large. I’d say, too large. Some rooms on the trip had no chairs, just a bed. This one had seven! None of them comfortable, and one which I’m sure would have collapsed if I’d dared sit on it. The room also suffered from some bizarre wiring which meant a switch by the bed turned on the bathroom light, and one by the bathroom turned on the main light. I decided I didn’t need to know what the rest did. And, given that the rooms were so enormous, whose bright idea was it to stick the toilet roll holder so it protruded over the bowl? Every time I sat on the potty I bashed my elbow. The other strange and unnerving thing was that the whole hotel was shaking, even the ground outside. It was like being in a mild but constant earthquake. I should have asked, but no one else seemed to notice it, so I was expecting “What shaking?” as an unhelpful response. And last but not least, it was time for the long trek south, with a final night at the Theatre Villa Resort in Bang Saphan, about four hours north of home. I mentioned the place (with pix) in this article. All of which means it’s time to put the Road To Mandalay Rally to bed, and get back to more local stories.